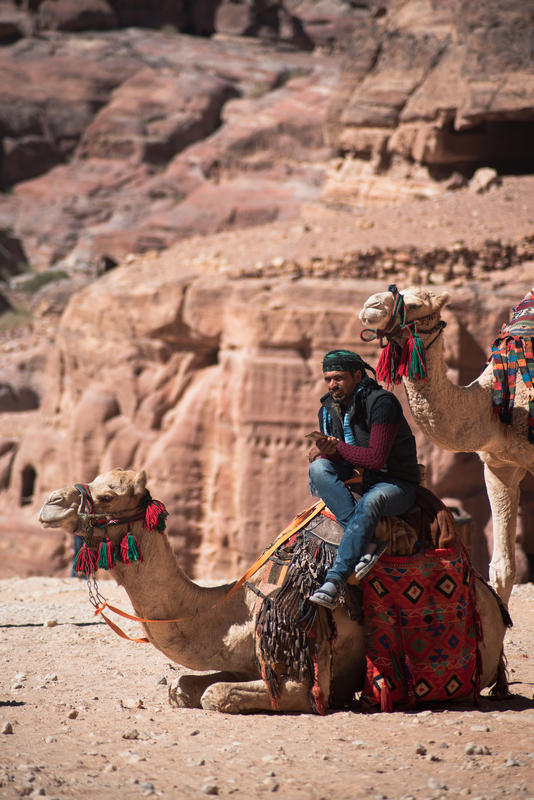 Your gateway to Middle Eastern culture, Jordan is a happy soul, a peace-loving land of fascinating history and culture, of otherworldly landscapes, warm welcomes and delectable food. 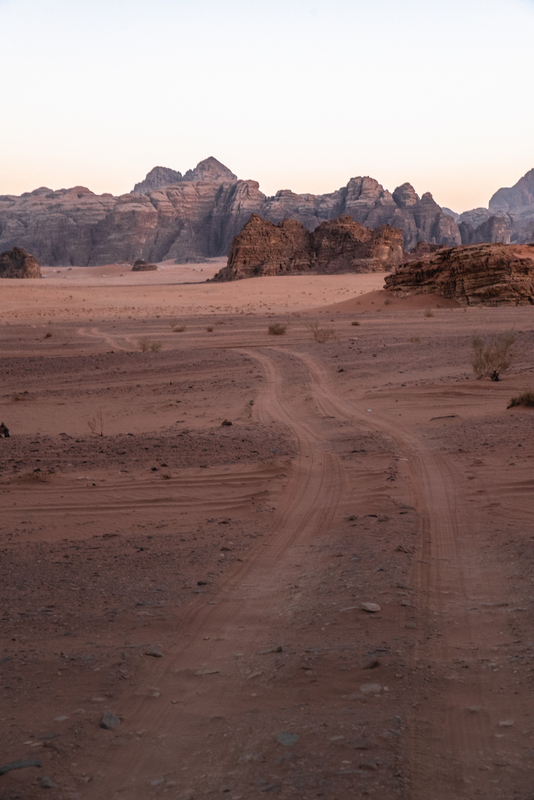 Here, with essential travel advice and tips on exploring the likes of Petra, Amman and the Wadi Rum desert, is my guide to the very best things to do in Jordan – especially if it’s your first visit. 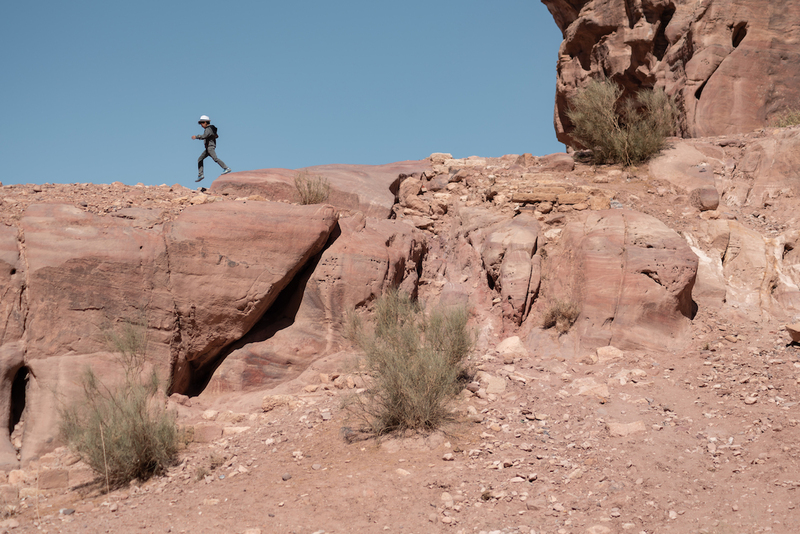 All words & photos by your desert dawdling guide, Ben Holbrook. But first… Is Jordan safe? First things first: Yes! Jordan is absolutely safe to visit. If anything I felt safer in Jordan than in parts of Europe (and America). Nestled in the bosom of Israel, Palestine (West Bank), Iraq, Syria, Saudi Arabia and the Dead Sea, you’d be forgiven for asking why Jordan is safe. I made a point of asking everyone I met in Jordan why their country is considered a safe place to visit when there is so much unrest within such close proximity. 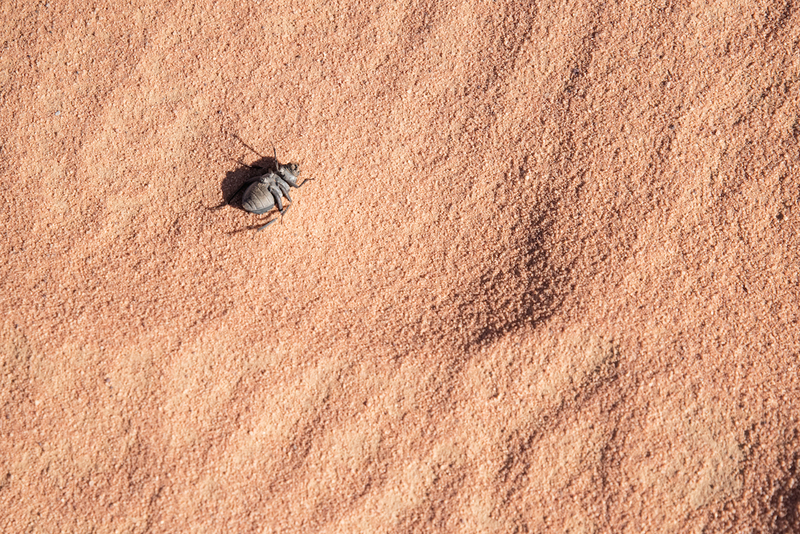 Making new friends in the Wadi Rum desert. 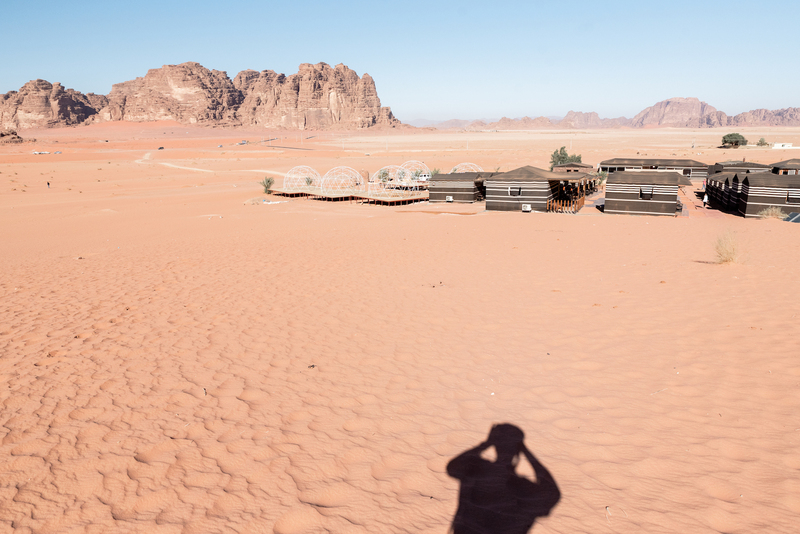 This photo was taken first thing in the morning at our camp in Wadi Rum. He was just starting his work day and he was excited to hear I was from Wales, to talk about Gareth Bale and how badly his beloved Madrid had just lost to Barcelona. 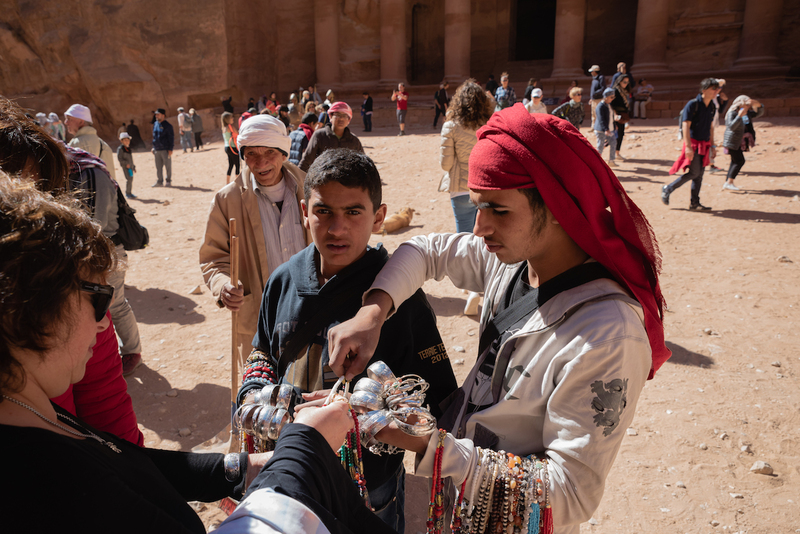 Jordan has long been a country of different religious faiths that have been practised alongside each other in harmony for many hundreds if not thousands of years. The country’s strength lies in this tolerance and shared sense of national pride – anything that threatens the peace is seen as a threat that the Jordanians come together to oppose. I learned that Jordan is made up of large families and tribes, all of which have figureheads who do a whole lot of talking. If and when there are problems, they are discussed, not fought over. 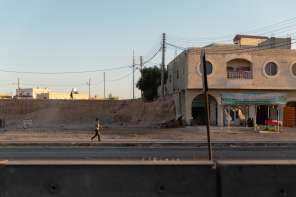 This ‘togetherness’ has made it impossible for extremists to infiltrate, largely due to the fact that Jordan lacks the social divisions that ISIS relies on to find its footing. 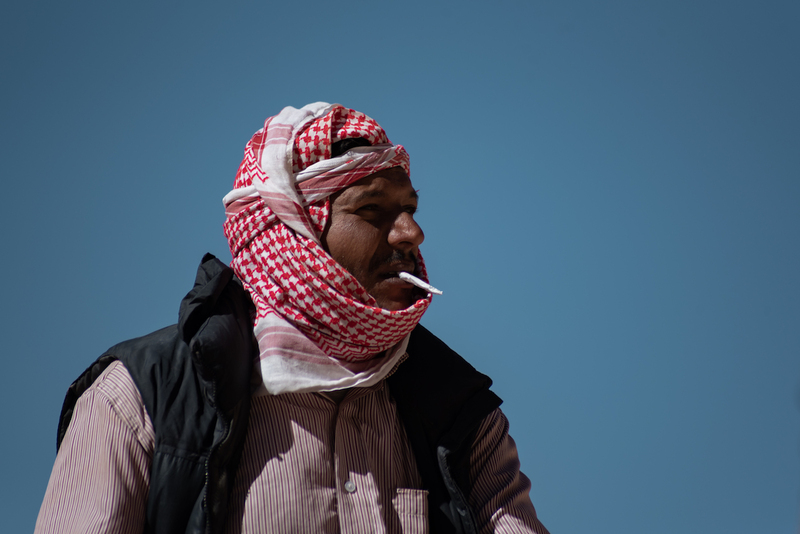 There’s a huge stigma attached to terrorism and extremism in Jordan. So much so, in fact, that families have been known to disown relatives who have joined or associated with terrorist groups. 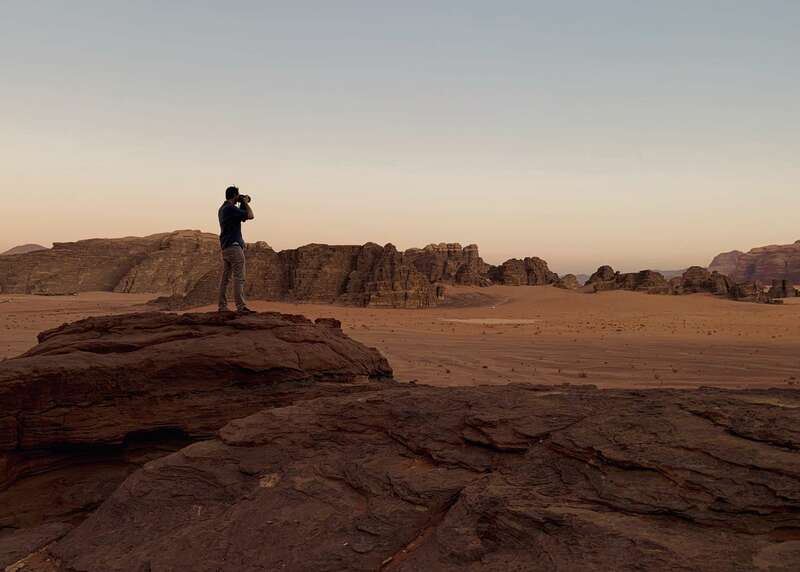 There’s a serenity about the Jordanians that I found incredibly soothing. Everyone I encountered seemed so genuinely welcoming and passionate to share their culture with me. Sprawling out over a tumble of craggy hills, Amman (aka ‘The White City’) is known as one of the Middle East’s most progressive and liberal cities. The foundations rest on the Iron Age site of Rabbath Ammon and the city has been passed from ruler to ruler over the centuries. The Greeks and Romans named it Philadelphia and it wasn’t until the 19th century that it became known as ‘Amman, capital of Jordan’. Also referred to locally as Al-Balad, Amman’s historic centre is home to the old citadel and the Roman Amphitheater. 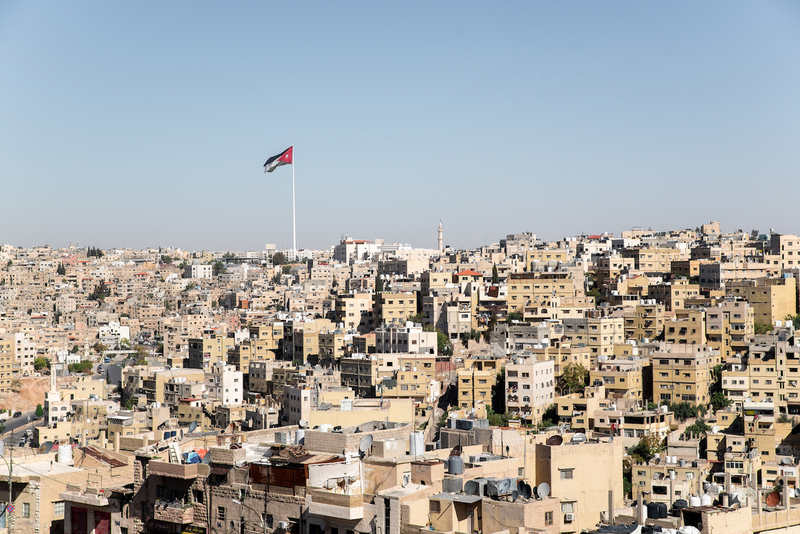 Downtown Amman is a hive of activity and is where you’ll find the city’s souks (markets) and museums, as well as the famous Rainbow Street which is lined with cafes, restaurants and shops. Temple of Hercules, Amman Citadel. But for total immersion, head straight to Amman’s Citadel. Built around 800 AD, it offers sweeping views over the hills that make up the city, as well as its 6,000-seater Roman amphitheatre. The Citadel also harbours the spectacular Temple of Hercules and the remains of the 8th century Umayyad Palace. 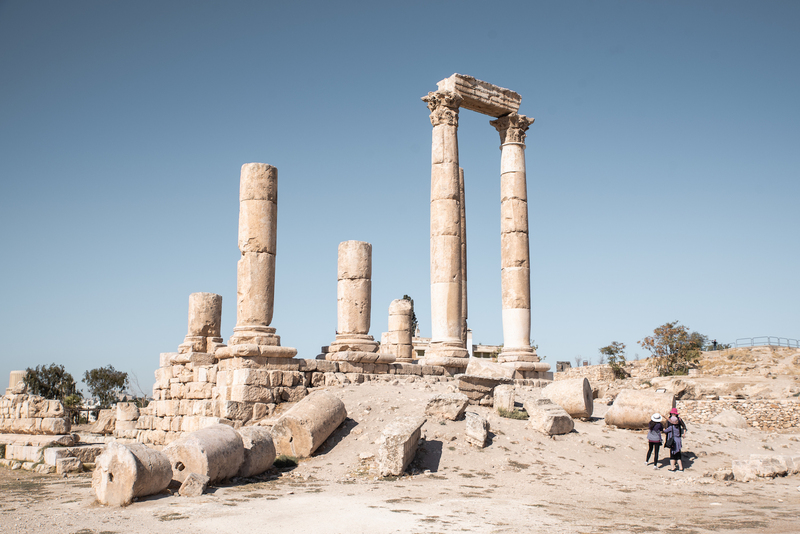 Tip: Assuming you want to see everything in a relatively small amount of time, I’d suggest taking this tour of Amman to make sure you don’t miss anything. 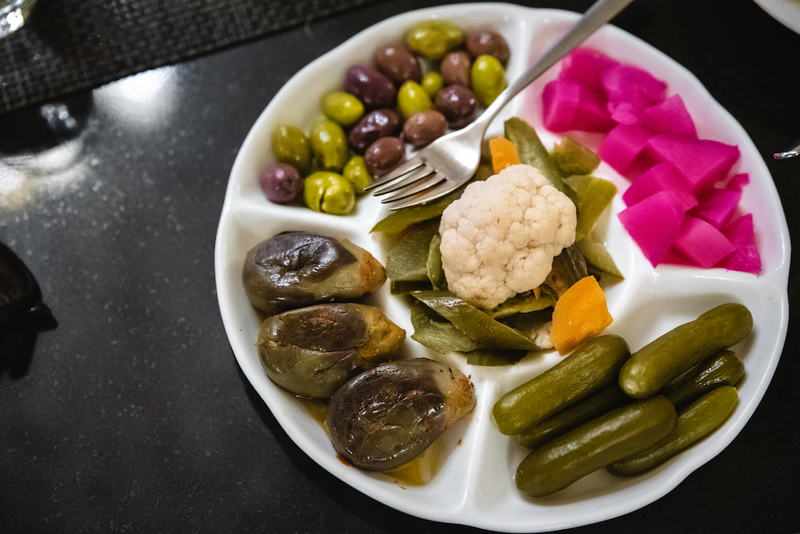 Eat Like a Local in El-Weibdeh: This is one of Amman’s oldest areas and is known for it’s many restaurants, bars and live music venues. 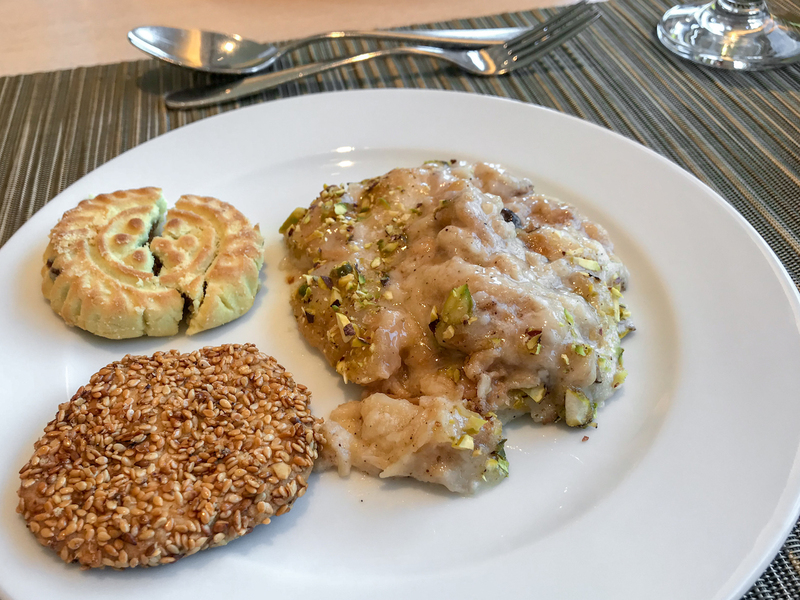 I would also have loved to have done this home dining experience with a local family – check it out if you have time. Live the High Life in Abdoun: This is the “posh” part of Amman and is home to some of the city’s more exclusive bars, restaurants, cafes, nightclubs and shops. Relax in Al Hussein Park: This is Amman’s main park and is a leafy public space with tennis courts, football and basketball facilities, as well as a Children’s Museum and the Royal Automobile Museum. 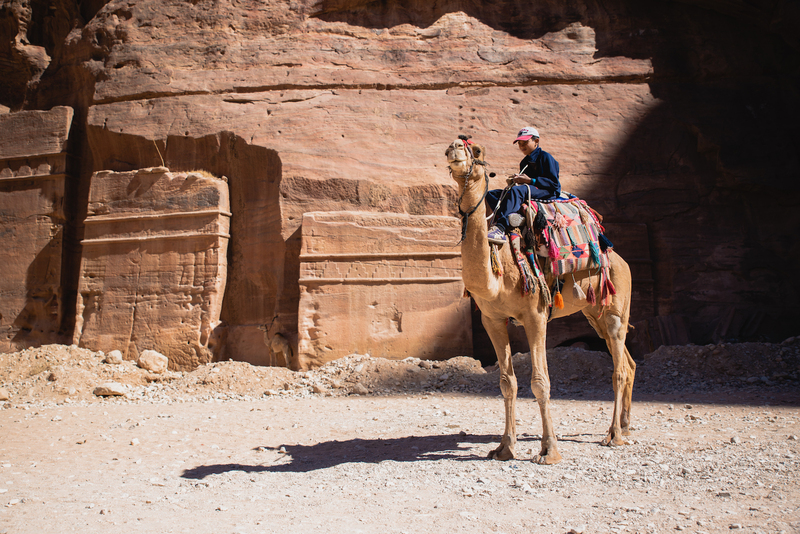 Jordan’s most famous destination, Petra is a historic city carved into a series of Mars-like canyons. The entrance to the city follows an ancient river that has carved its way through the rock over thousands of years, polishing it smooth in the process. 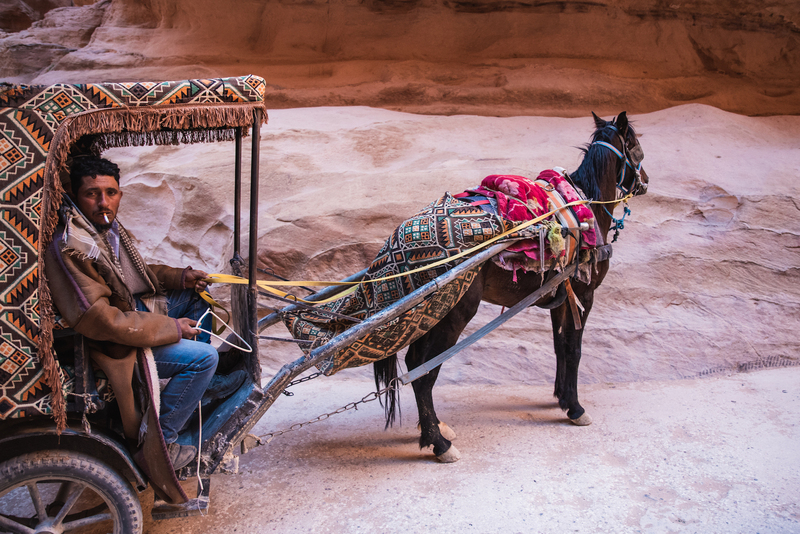 Petra horse and donkey taxi riders taking a break. 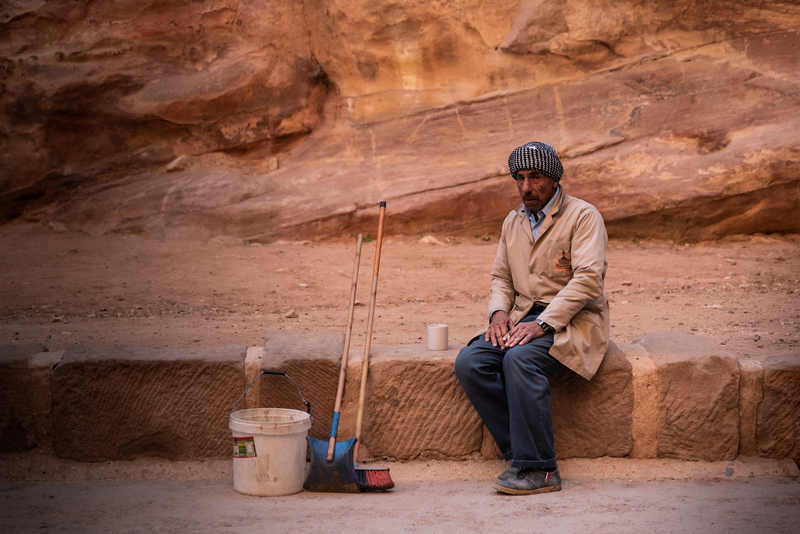 Petra groundsman stops for a smoke. 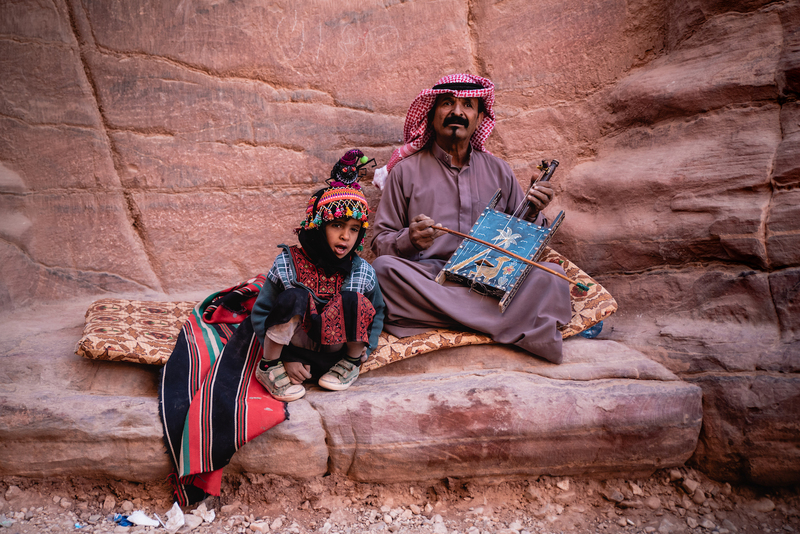 Father and son busking in the cavernous corridors of Petra. Halloween. Muhammed and Ali. 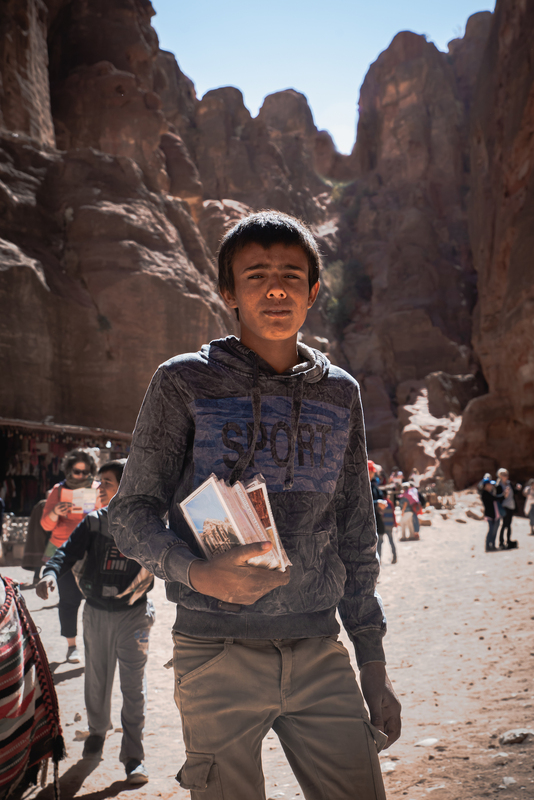 Petra postcard sellers. As you wend your way through these cavernous corridors, the stone blushes from a golden shade of yellow to a rich crimson-red that makes you feel like you’re exploring a new planet. “Who wants a ride? 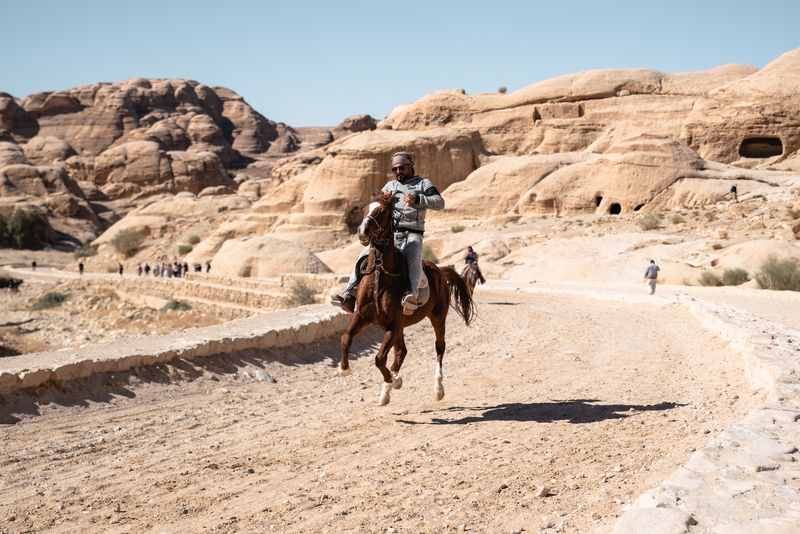 Come ride with us!” Whether selling postcards, tours up to the view points, donkey rides or camel rides, there are countless children working in Petra. I asked my guide if they shouldn’t all be in school. He laughed… “Yes, they should be, but they refuse to go. They make some money here,” he said with a shrug and a puff on his 12th cigarette of the hour. 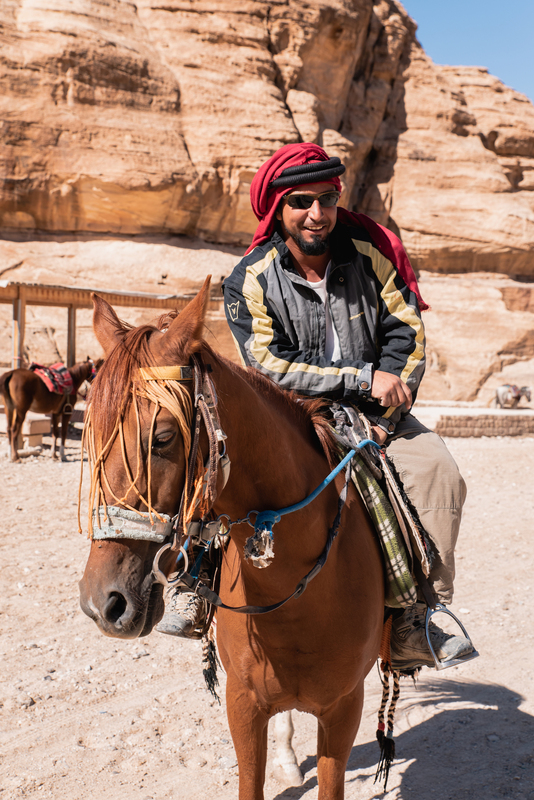 A local donkey ride hawker at Petra. He said my camera looked like a gun – he wasn’t impressed. 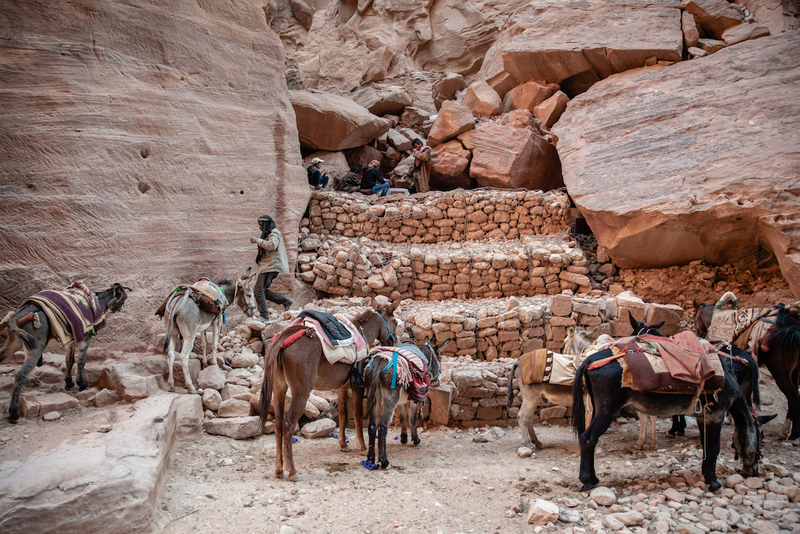 After a 1 km walk, during which you’ll meet local horse-taxi-riders and young postcard-sellers, you’ll arrive at Petra’s iconic Treasury. Chiselled straight into the rock from the top down, this awe-inspiring 40 metre high structure is over 2,000 years old. 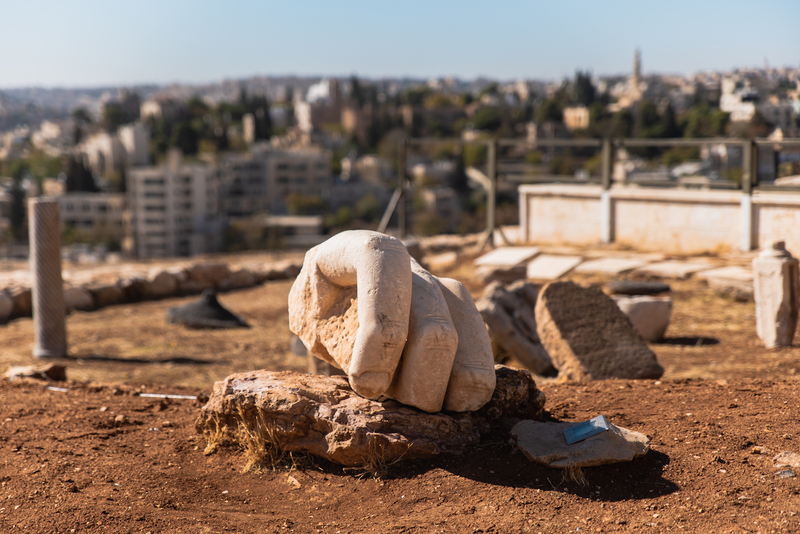 Although it’s hard to believe, this city of stone was home to around 2,000 people up until 2006, when it was declared an official UNESCO World Heritage Site. 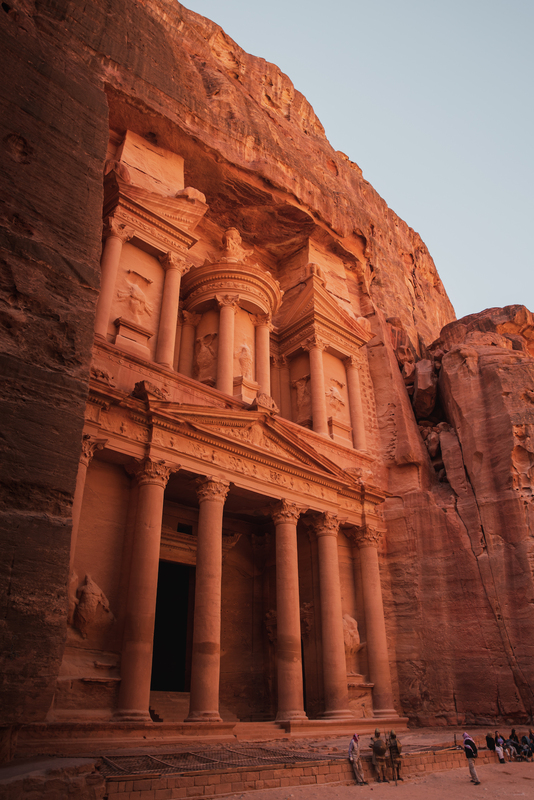 Today, Petra’s Treasury is one of the ‘New Seven Wonders of the World’, and you will most likely recognise it as the temple in the Indiana Jones movie, The Last Crusade. Local businessman commuting to work. Petra, Jordan. Modern-day Petra. A camel-taxi rider with a gold phone. 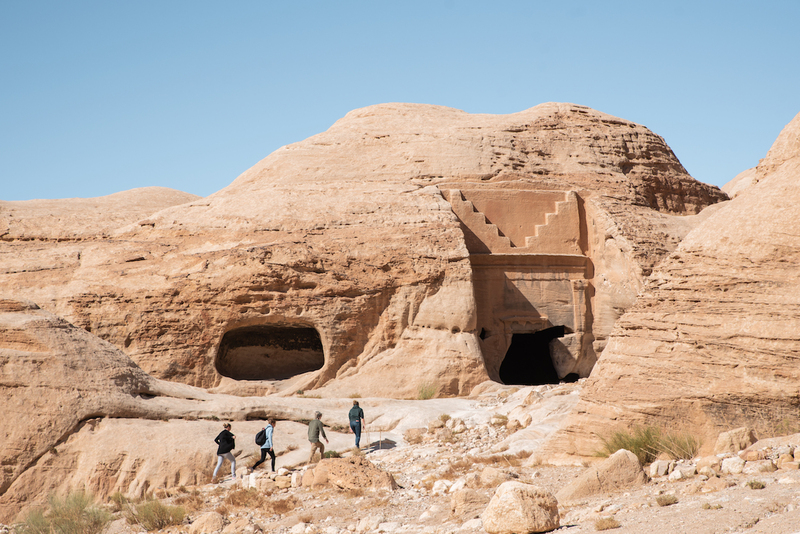 Treasury Tips: You’ll want a full day to do Petra’s treasury, monastery, caves and tombs justice, so be sure to stay in the area overnight – I stayed at the refined Petra Marriot Hotel, which is run entirely on renewable energy. 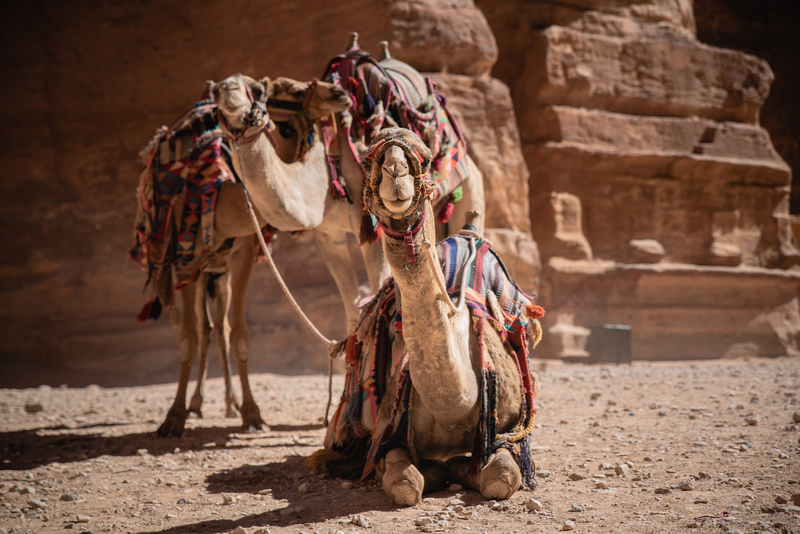 Also check out this excellent 2-day tour from Amman, which visits all the ‘must-sees’, including Petra, Wadi Rum desert and the Dead Sea. 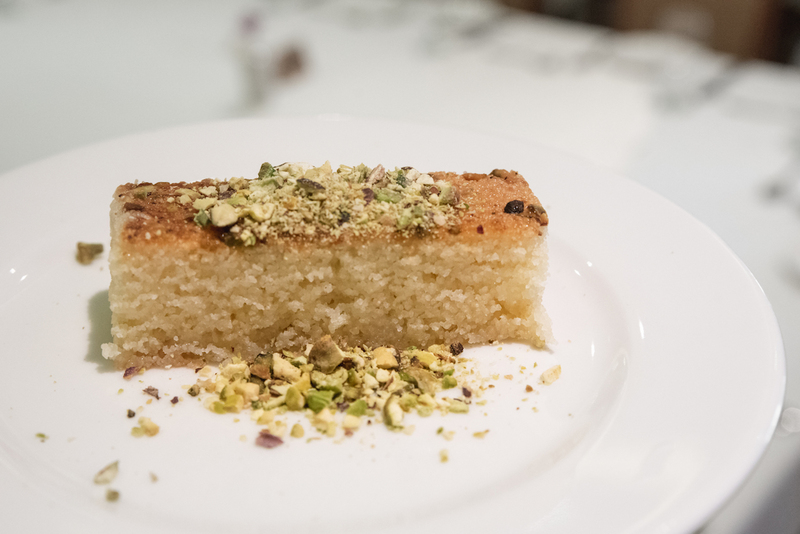 Jordan’s unique geographic location means it is something of a cultural and culinary crossroads. 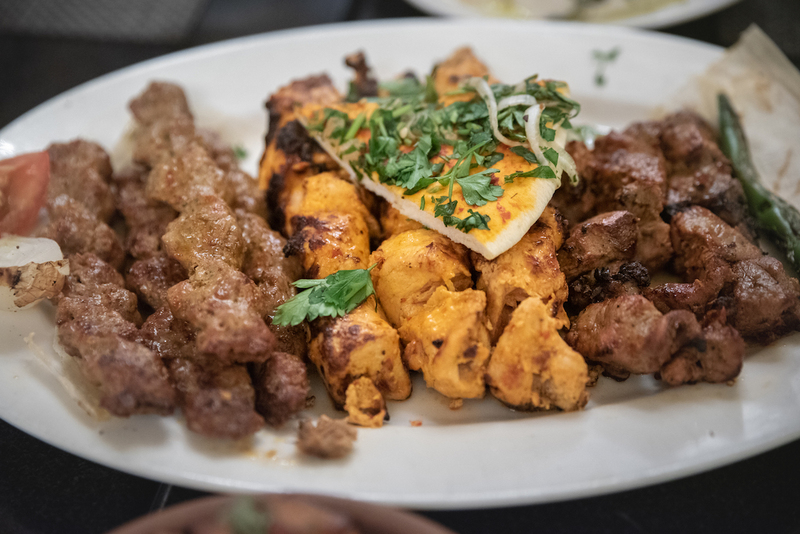 I love nothing more than digging into local dishes when I travel and can say, as a self-professed gastro-naut, that Jordan is a spectacularly satisfying place to eat. 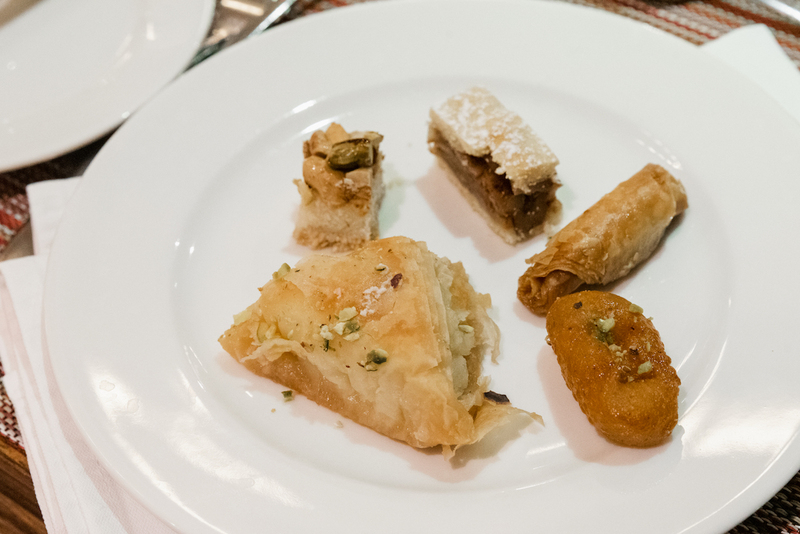 Jordanian cuisine is based in Mediterranean fare elevated with bold herbs and spices. 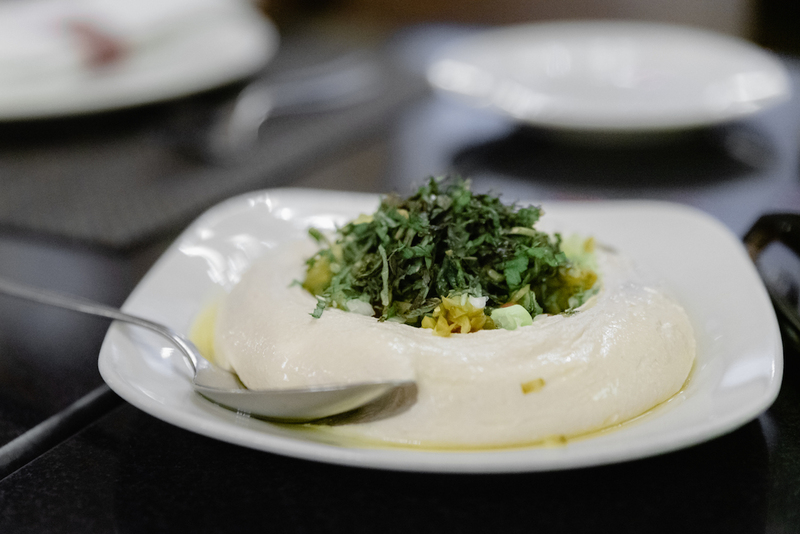 Most meals start with fresh bread and a selection of dips – wholesome hummus and smoky ‘mutabal’ (made with eggplant). 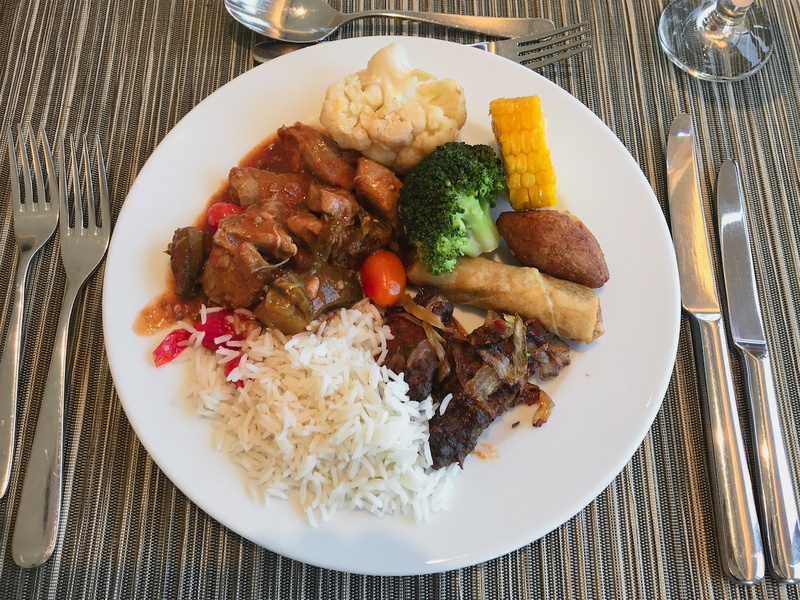 Then you’ll typically be served grilled meat, with lamb being the national favourite. I also enjoyed some fantastic Jordanian beers and the local wine is winning over critics the world over. If you love wine then check out this wine tasting session while you’re in Amman. 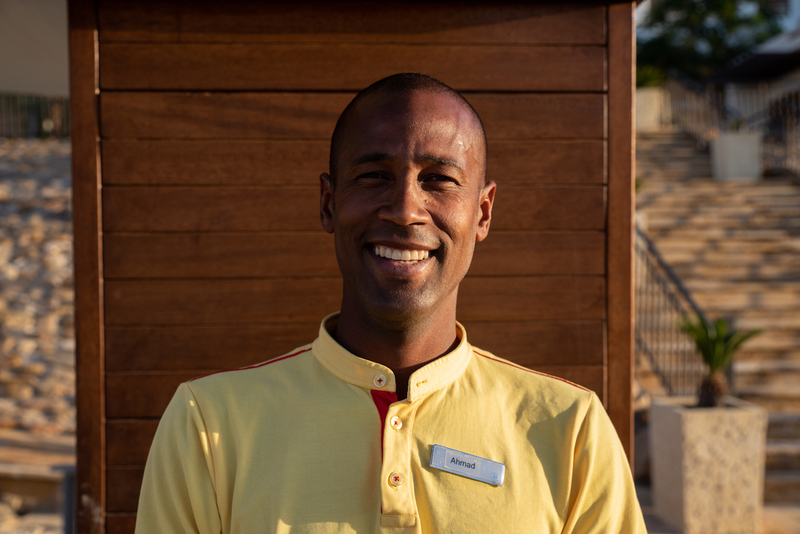 Note: Most waiters will typically only mention soft drinks when you ask what’s available, but they will be happy to serve you alcohol if that’s what you want. 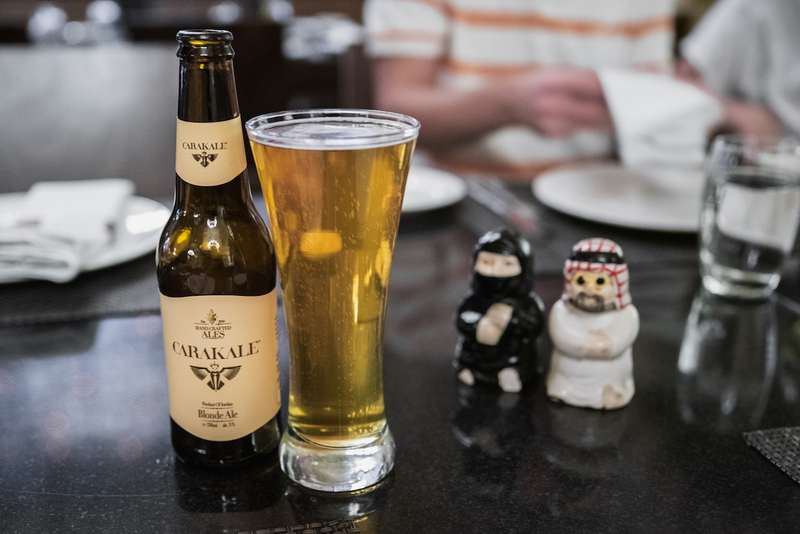 Just be aware that beer and wine (alcohol in general) is relatively very expensive in Jordan and is not normally included in the price of set meals that offer free drinks). Wadi Rum Desert. Mars on Earth. 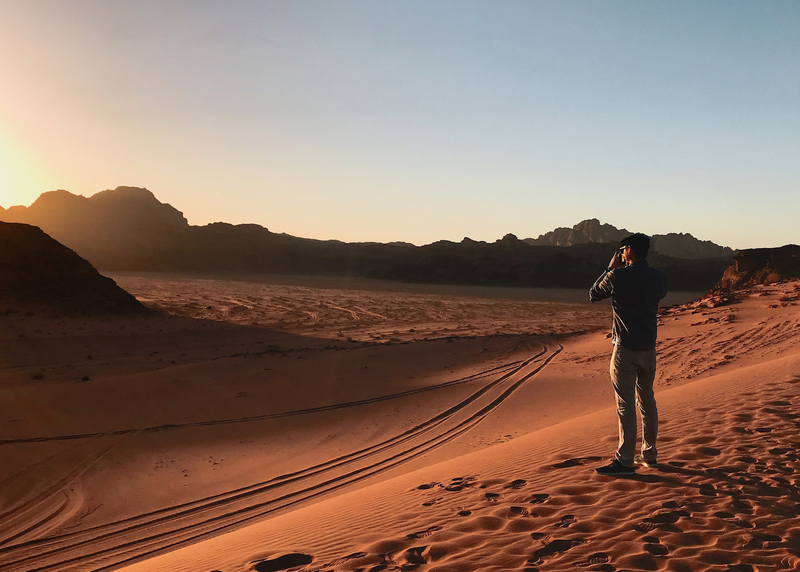 There is something incredibly soothing about desert life, especially when experienced in the otherworldly Wadi Rum desert. With its burnt scarlet sands and lunar rock formations, it looks very much the surface of Mars and is often referred to as the ‘Valley of the Moon’. In fact, it looks so much like another planet that it features in Hollywood blockbusters including The Martian, Star Wars, and Transformers. And, of course, most famously of all it was the main setting of the classic film Laurence of Arabia, which won no less than seven Academy Awards. It’s my memories from here, as I bounced from dune to dune in the back of a four-wheel-drive truck with my new friends from the Czech Republic press (it’s a long story), that I remember most fondly from my time Jordan. 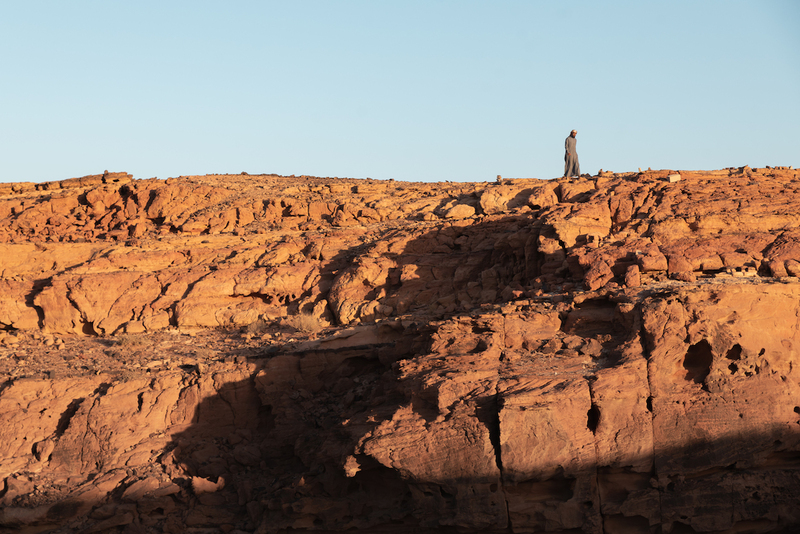 This martian expanse of sunbaked land sits on a historically important trading route and has been inhabited by the nomadic Bedouin people for hundreds of years. 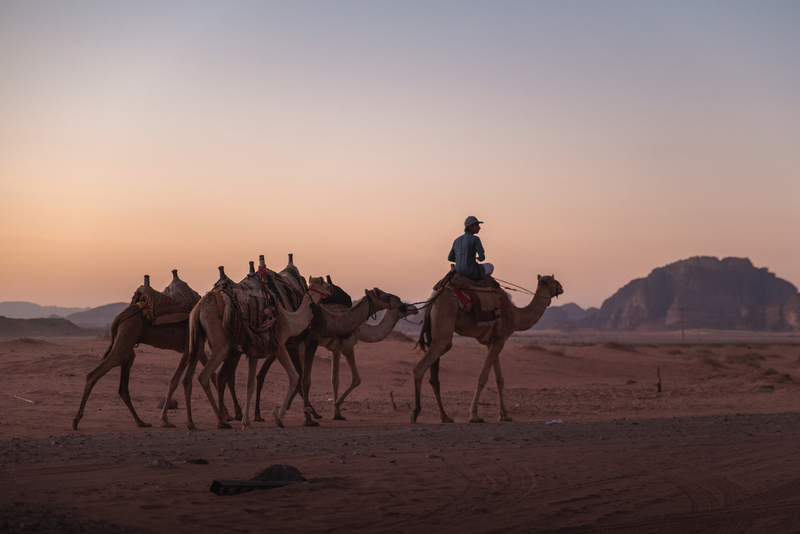 Camel caravans have long passed through on the famous King’s Highway, trading frankincense and spices, while armies and crusaders have also sought solace here on their way to and from war. 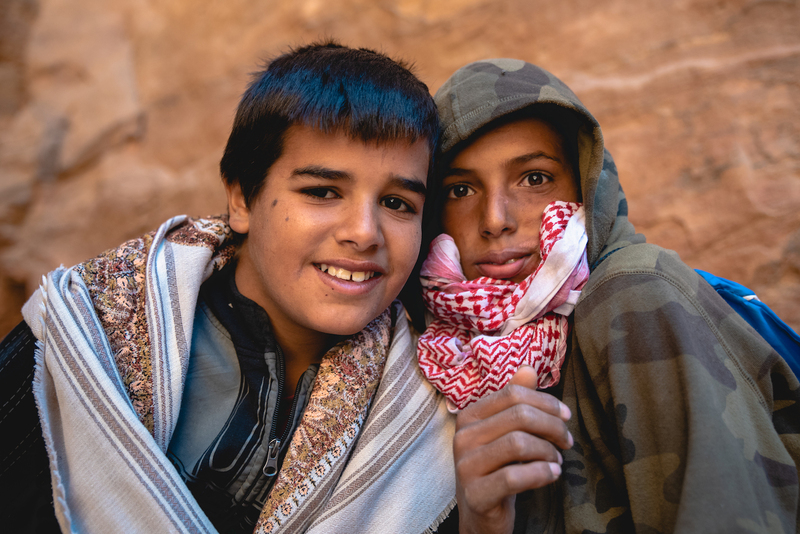 Over the centuries, the transient nature of the area has seen the Bedouins become skilled hosts and they continue to pride themselves on being generous and hospitable with all of their guests. 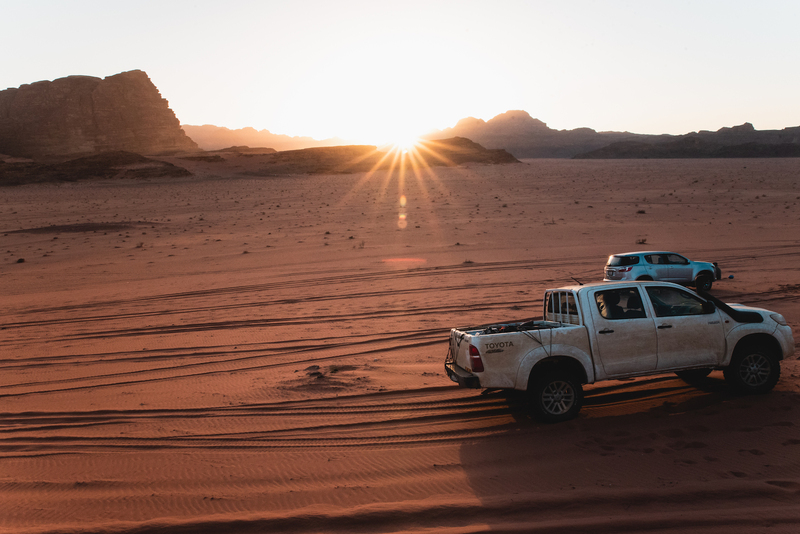 We arrived at our camp in the Wadi Rum desert just in time to catch the sunset. I stared out across the otherworldly landscapes, the burnt scarlet sand creaking under my feet, thinking that it simply couldn’t get any better. And then this little camel train strolled into the scene and I took my last photo of the day with a huge grin on my face. 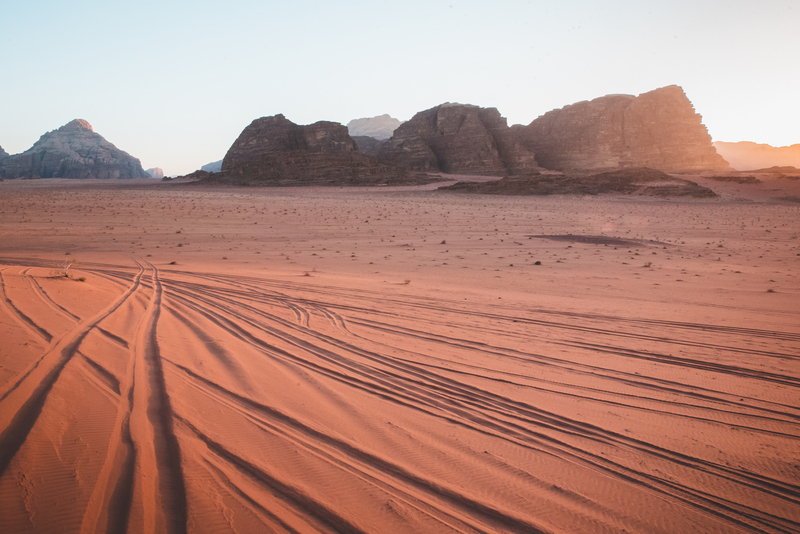 Wadi Rum Tips: For the full Bedouin experience, stay overnight at one of the many glamping sites dotted throughout the Wadi Rum desert. I stayed at the friendly Hasan Zawaideh Camp, a comfortable option with private huts (each with private bathrooms). The staff prepare a nightly zarb feast for all guests, a traditional way of cooking lamb and vegetables underground, and provide music, dance and shisha. 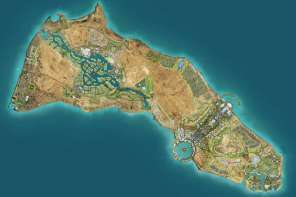 They can also arrange four-wheel-drive tours and treks. Glamour and the Dead Sea. Hemmed in by Jordan, Israel and the West Bank, the Dead Sea is a salt lake located more than 400m below sea level, making it the lowest point on Earth. It’s said to be ten times saltier than ‘normal’ sea water, meaning swimmers float effortlessly on its surface and benefit from a wide range of naturally healing properties. 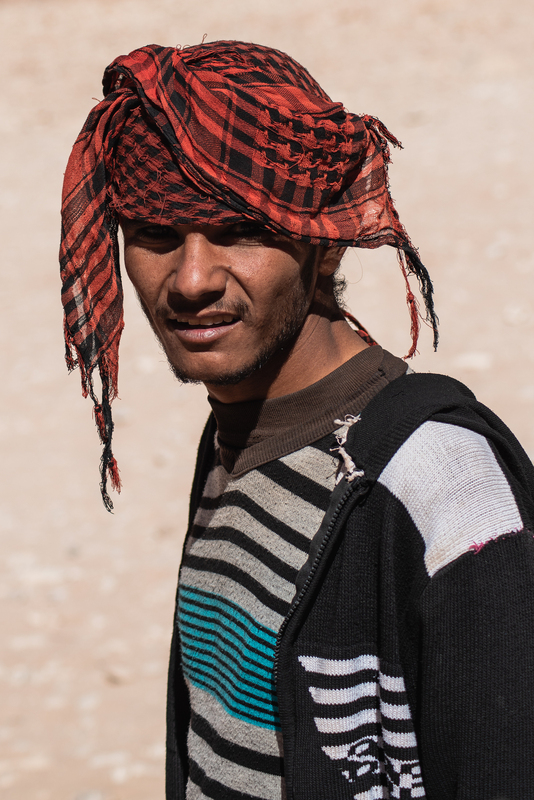 My new friend Ahmad, who helps people cover themselves in mineral-rich-mud at the Hilton Dead Sea Resort and Spa. 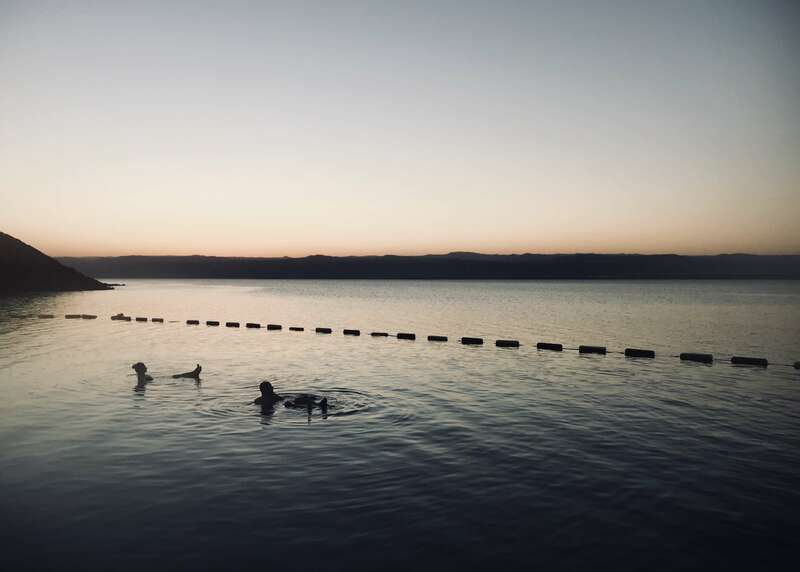 The Dead Sea is high in magnesium, calcium and potassium, giving it therapeutic qualities that are said to help people with skin conditions and joint pain. 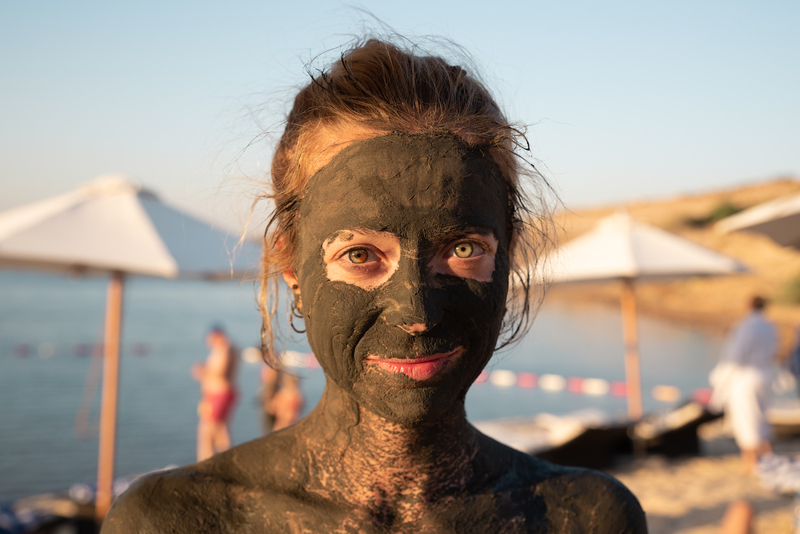 You will also see people caking themselves in the mineral-rich mud before taking a dip. Dead Sea Tip: For a truly rejuvenating and luxurious experience, do as I did and check in at the double deluxe Hilton Dead Sea Resort & Spa. It offers direct and private access to the Dead Sea and is arguably the most luxurious place you could stay at in Jordan. 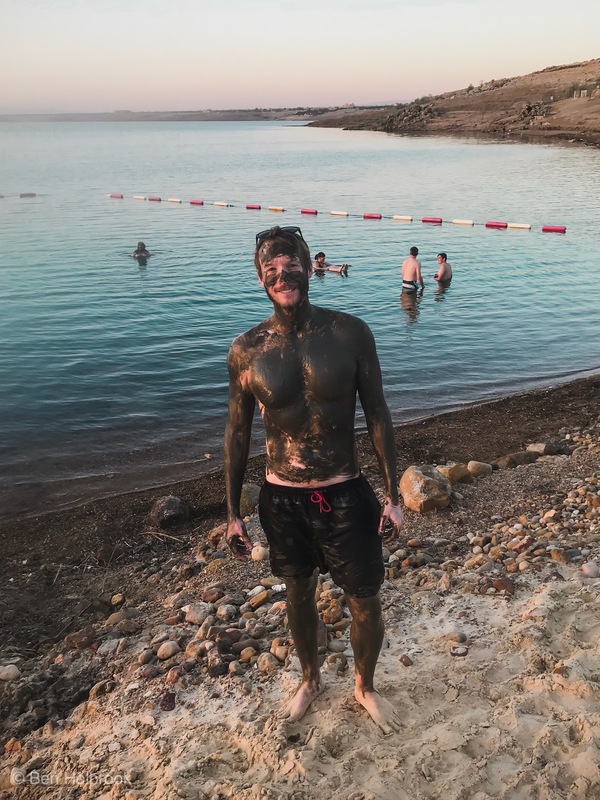 I’d also recommend taking a tour of the Dead Sea and the famous Baptism site. The Holy Land and the King’s Highway. Mount Nebo. 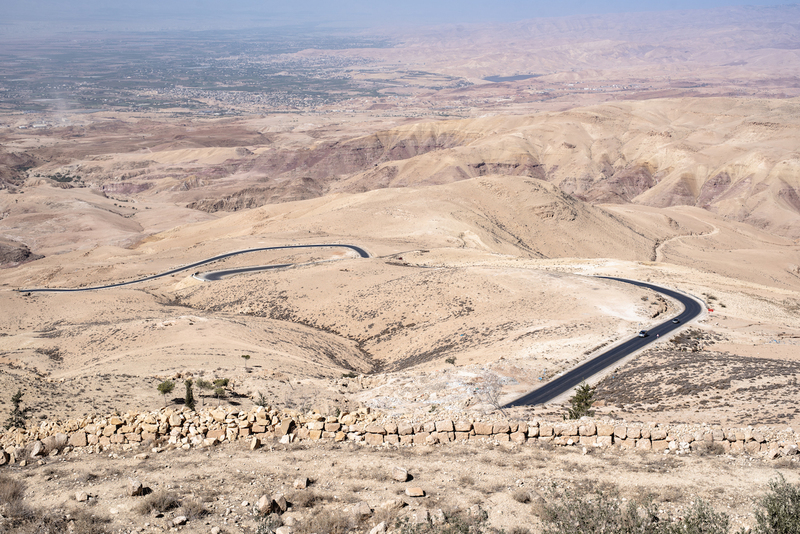 Situated some 800 metres above sea level, Mount Nebo is named in the Bible as the place where Moses first saw the Promised Land. 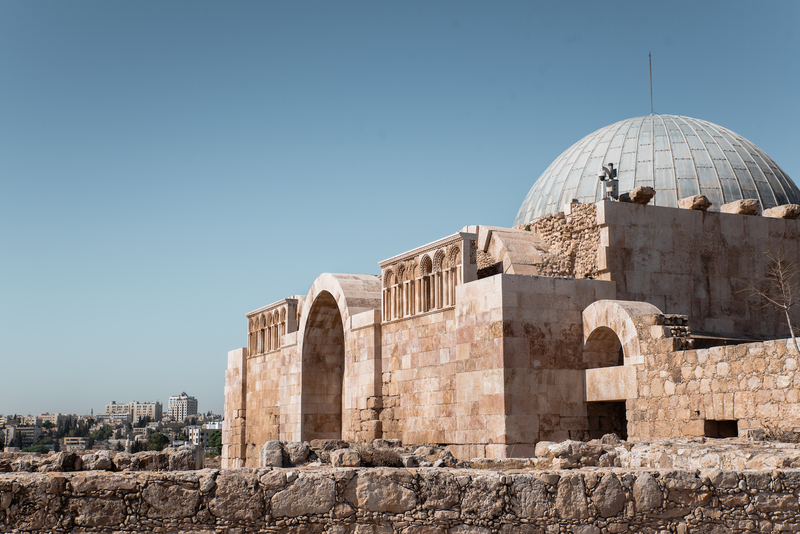 It offers spectacular views over the Holy Land and on a clear day you can see over the Baptism Site, Jerusalem, Jericho, the Dead Sea and Amman. A truly soul stirring experience, whether you’re religious or not. 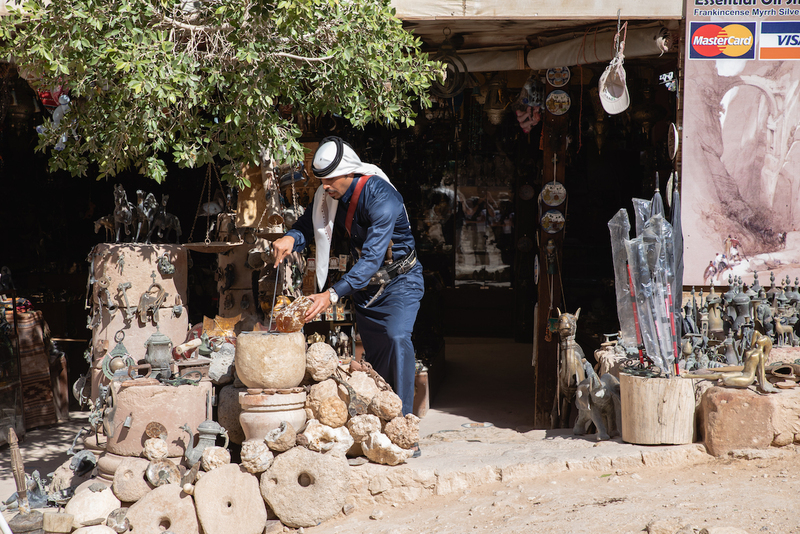 Situated within a 20-minute drive from Queen Alia International Airport, the market town of Madaba is a popular stop off point for travellers flying in and out of Jordan. 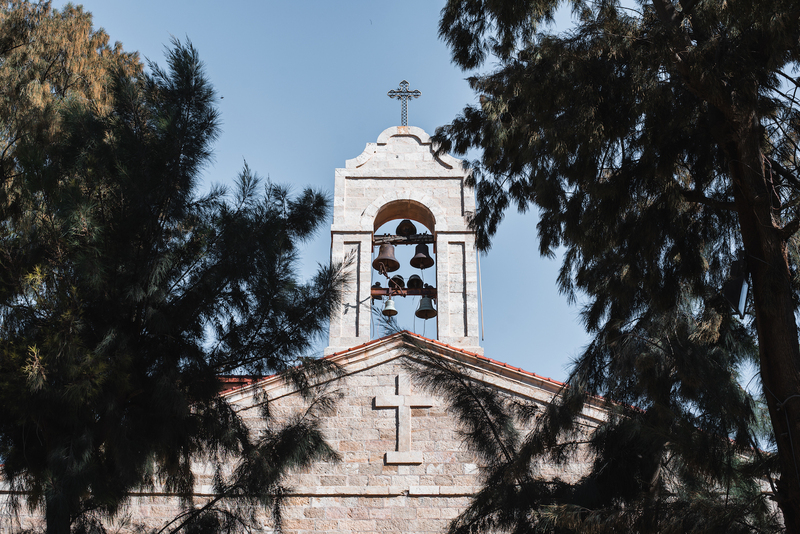 It is home to one of Jordan’s largest Christian communities and is renowned for its stunning collection of Byzantine-era mosaics, the most famous of which being the Madaba Map of the Middle East. Sheltered inside the Greek Orthodox church of Saint George, it dates back to the 6th century AD and is the oldest surviving depiction of the Holy Land. A fascinating experience, regardless of your religious beliefs. Definitely do this tour if you want to make sure you see and do all of this properly. This trip was honestly one of the most rewarding I’ve ever experienced. 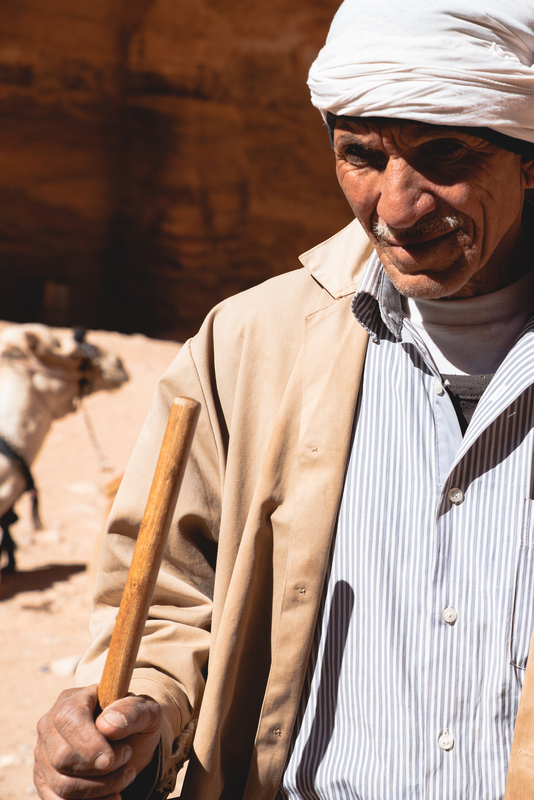 From Amman to Petra, Wadi Rum to the Dead Sea, the people I met in Jordan were so polite and sincerely welcoming, so proud and excited to share their culture. This was my first time in the Middle East and I can’t wait to get back. It’s not “beautiful” in the traditional sense of the word, but it did truly stir my soul on a deep level. 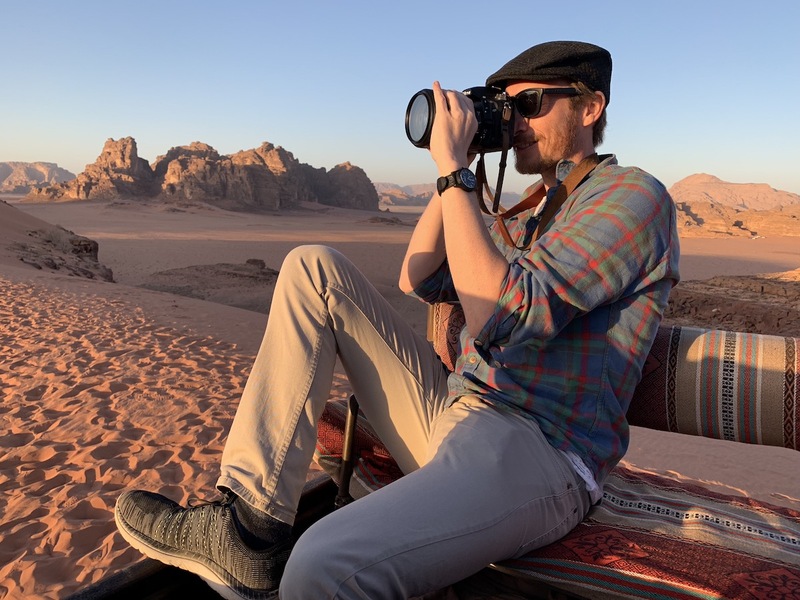 I think we all tend to think of the way we live as being the normal way to live, or even the “right way”, but visiting somewhere like Jordan gives you a fresh perspective, an understanding that there are many “normal” ways to live. That maybe we don’t have all the answers after all. If you’ve ever had an inkling to visit the Middle East, to see, feel and understand for yourself, I would highly recommend visiting Jordan. Get there: I flew direct from Prague to Queen Alia Airport with Ryanair – find flights here. Get around: Something I feel quite compelled to mention is how terrifying the roads were. 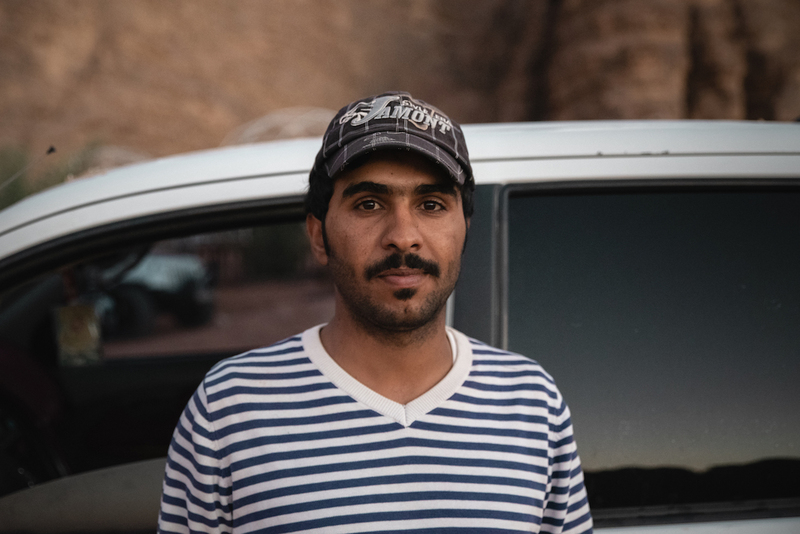 Jordan is a relatively small country, but we spent many hours on the road getting from one place to another and I felt extremely glad that I didn’t have to worry about driving. 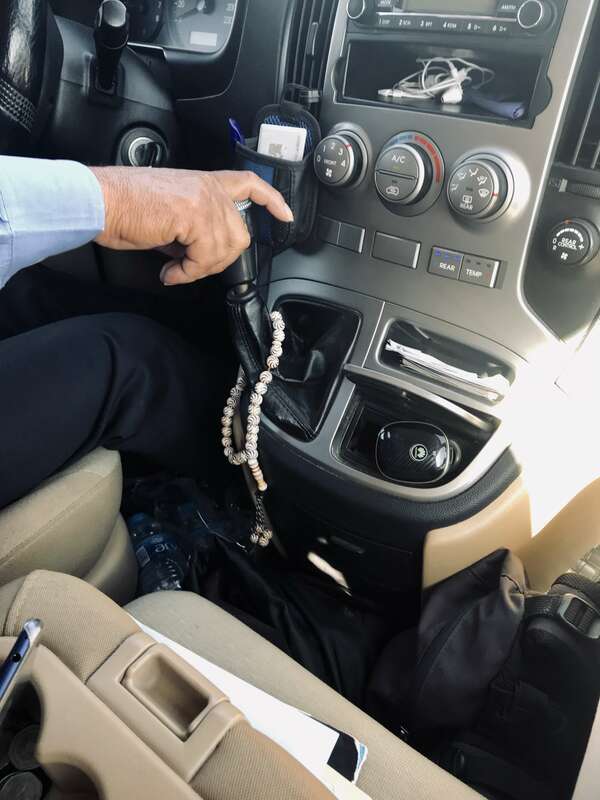 Our driver did a great job of keeping us safe, counting his rosary beads all the while. I would advise you to join tours (suggestions below) when possible or to at least hire a driver. Waking up at Camp Bedouin Hasan Zawaide in the Wadi Rum. Where to stay in Amman: For a taste of modern-day Jordanian life and elevated views of the city, stay at the gorgeous Le Royal Hotel. 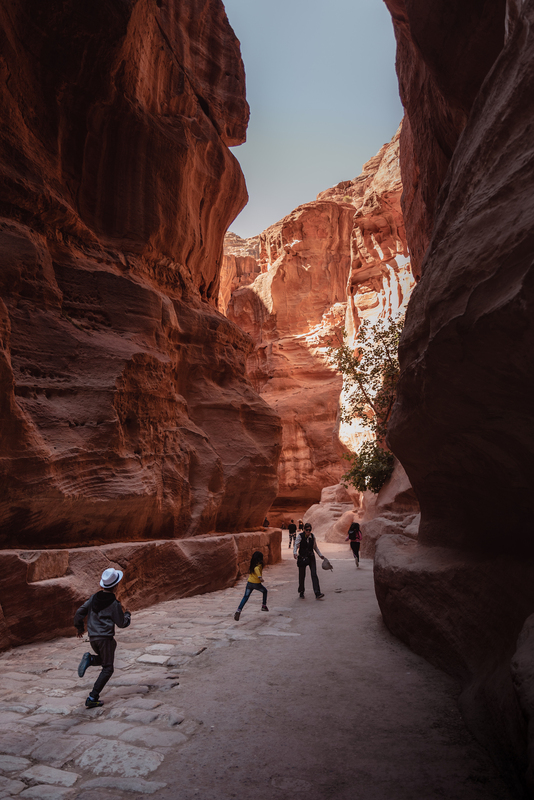 Where to stay in Petra: The Petra Marriott Hotel is a fantastic place to stay nearby and is run entirely on renewable energy. 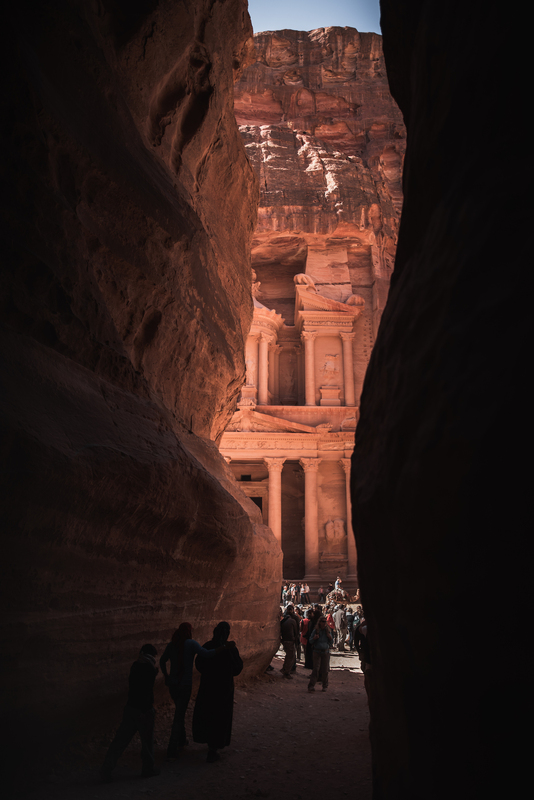 I also did the “Petra by Night” experience but wouldn’t recommend it – if you only have time to see Petra once, you should definitely see it during daylight hours. Where to stay near the Dead Sea: For a truly rejuvenating experience, check in to the sumptuous Hilton Dead Sea Resort & Spa. It offers direct and private access to the Dead Sea and is arguably the most luxurious place you could stay at in Jordan. 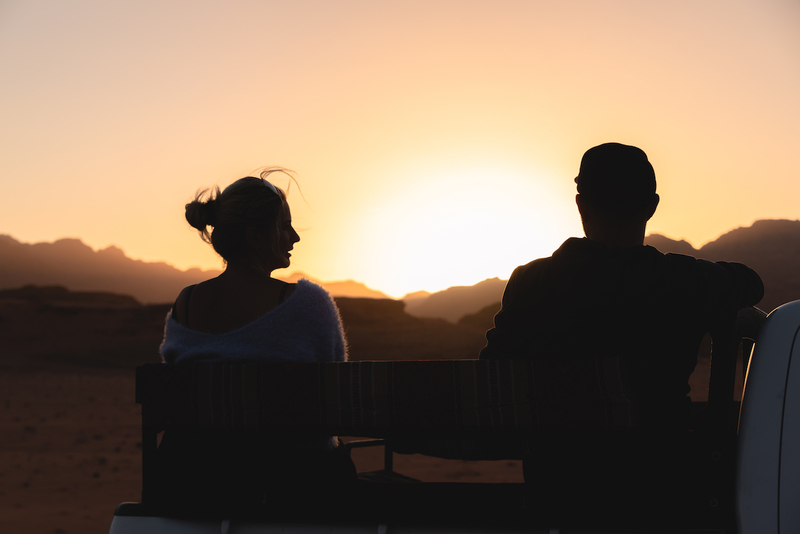 Wadi Rum Bedouin Camps: For the full Bedouin experience, stay at one of the many glamping sites dotted throughout the Wadi Rum desert. I stayed at the friendly Hasan Zawaideh Camp, a comfortable option with private huts (each with private bathrooms). The staff prepare a nightly zarb feast for all guests, a traditional way of cooking lamb and vegetables underground, and provide music, dance and shisha. They can also arrange four-wheel-drive tours and treks. Have you been to Jordan or anywhere else in the Middle East? Or would you like to go? I’d love to hear about your experiences. Join me on Instagram / Facebook / Twitter / Pinterest / YouTube to let me know! That’s great to hear Bob! Yes, I’d definitely recommend doing a tour. Let me (us) know how your trip goes!